Open Daily: Sunrise to 11 p.m. 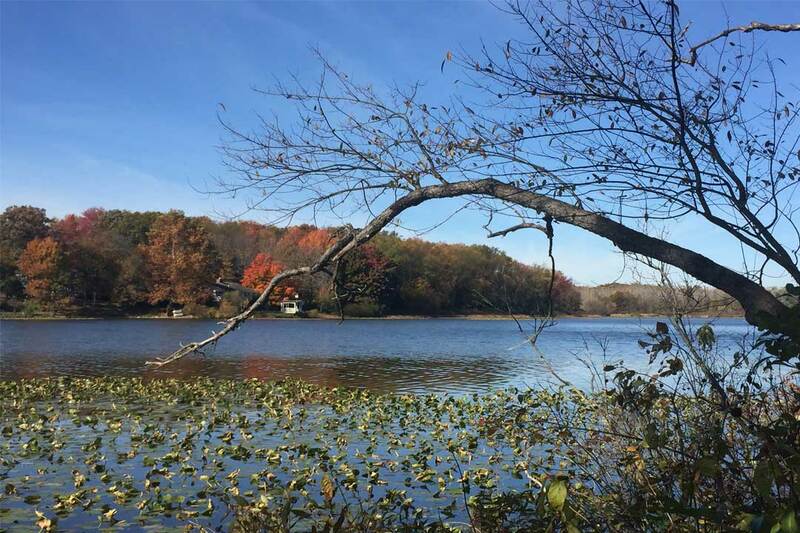 Hike, bike, fish, and paddle at Sippo Lake Park! 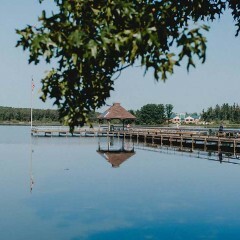 Trails line the shoreline, loop through the wetlands and forests, and connect the three different park entrances. 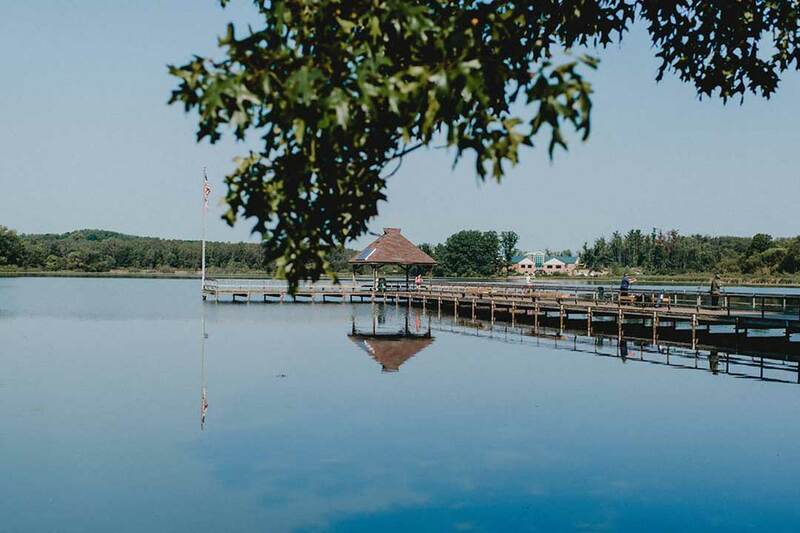 With 300 acres to explore, plenty of options for self-guided activities, plus scheduled programs, Sippo Lake Park is an exciting destination for a full day of fun. 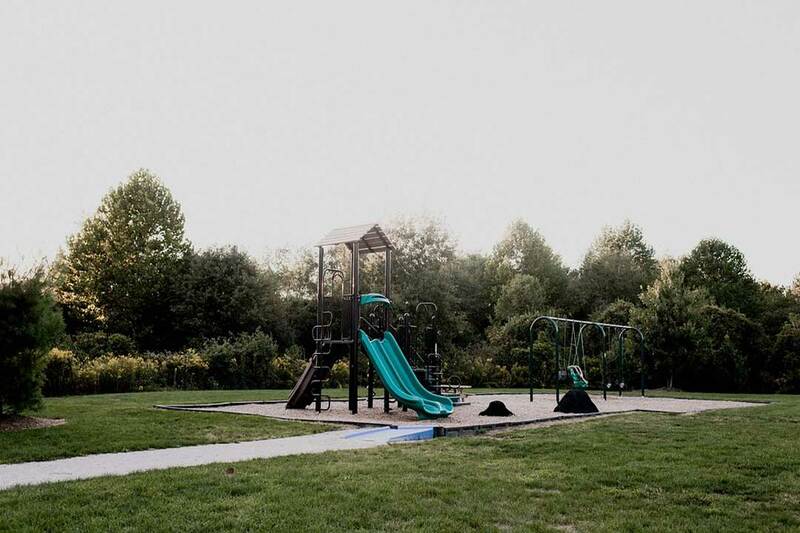 This great escape is located right between Canton and Massillon. 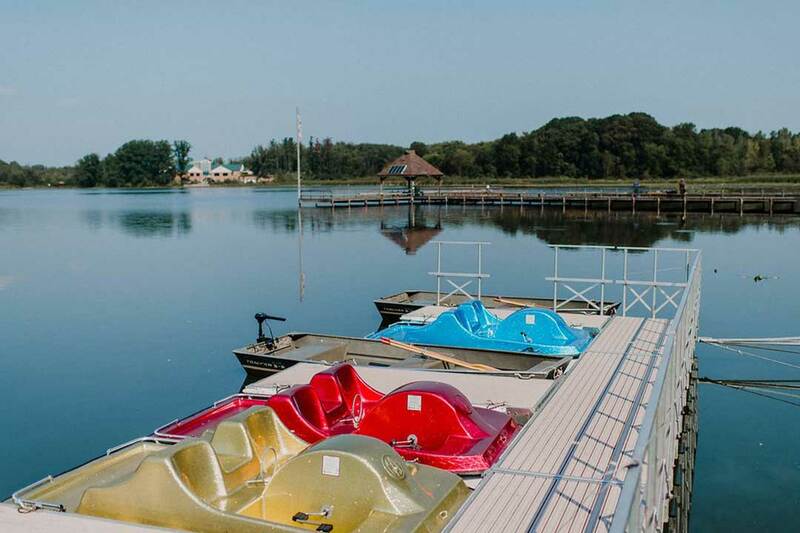 At the Sippo Lake Marina you can rent a boat to explore the lake and buy live bait, tackle, and snacks from May to October! 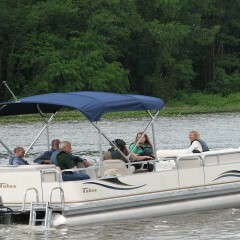 Bring your own fishing pole or boat (up to 21 ft. and 10 hp) to enjoy the accessible fishing pier and boat ramp nearby. 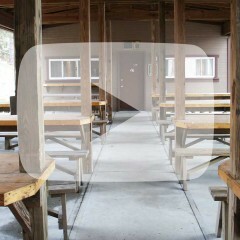 The Sippo Lake Clubhouse and Boat Shelter are also located at this entrance. 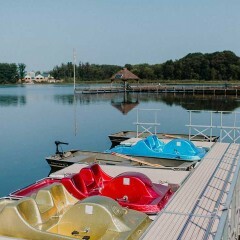 The Exploration Gateway at Sippo Lake Park is a center of nature, culture, and life-long learning, created through a unique partnership between the Stark County Park District and the Stark County District Library. 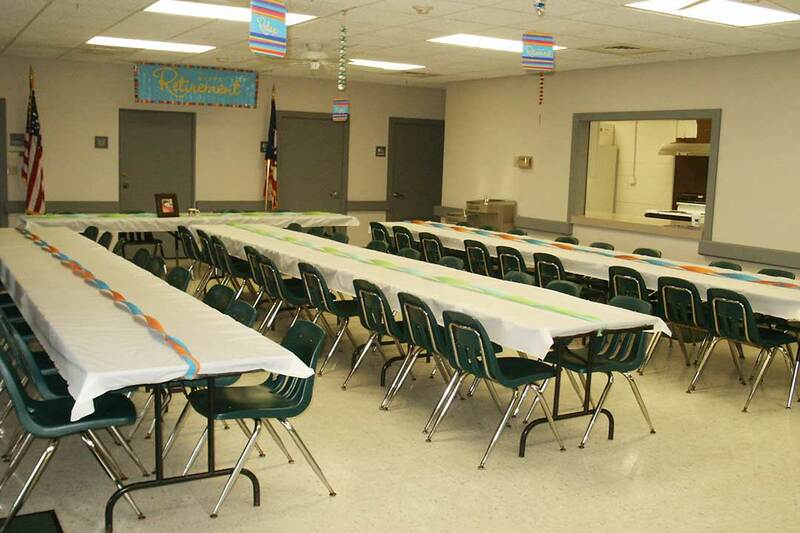 Our Banquet Hall and Party Rooms are ideal for groups of up to 200 (dinner style) or 400 (auditorium style). 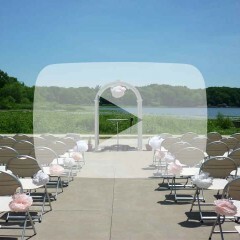 We offer a beautiful natural setting for wedding ceremonies, rehearsal dinners, and receptions. Wi-Fi, built-in technology, and a video conference center also make this a great space for meetings and corporate gatherings. 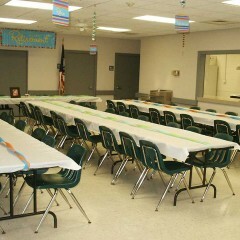 For photos and rental information, visit www.StarkPartyHall.com. FeLeap’s Lily Pad Gift Shop sells a unique variety of nature-oriented, locally-made products, gifts, and birding supplies. The Congressman Ralph Regula Canalway Center artfully depicts the history of how the Ohio & Erie Canal influenced Stark County’s growth and success. Admission is free, and children under 14 must be accompanied by an adult. The display is available Monday – Saturday, 10 a.m. to 4 p.m.
Our partner, the Perry-Sippo Branch Library provides our guests a 58,000-item collection with specialized nature and Canalway history resources, outdoor terrace and indoor fireplace, drive-through book drop, 400-gallon aquarium, and free Wi-Fi. 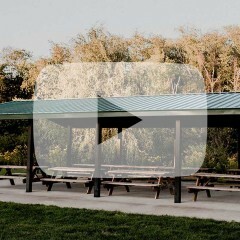 The Exploration Gateway Shelter is located near the playground and is perfect for groups of 40. Electricity and a grill are included. With BikeSmart you can check out a bike at the self-service hub located by the lower parking lot. Rentals are free with a Stark County District Library card after signing up at the library. Bikes can be rented for a small fee without a library card. 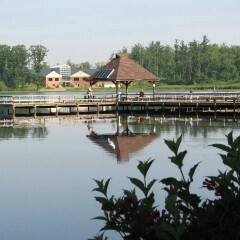 The Wildlife Conservation Center at Sippo Lake Park is one of the area’s only licensed wildlife rehabilitation facilities. 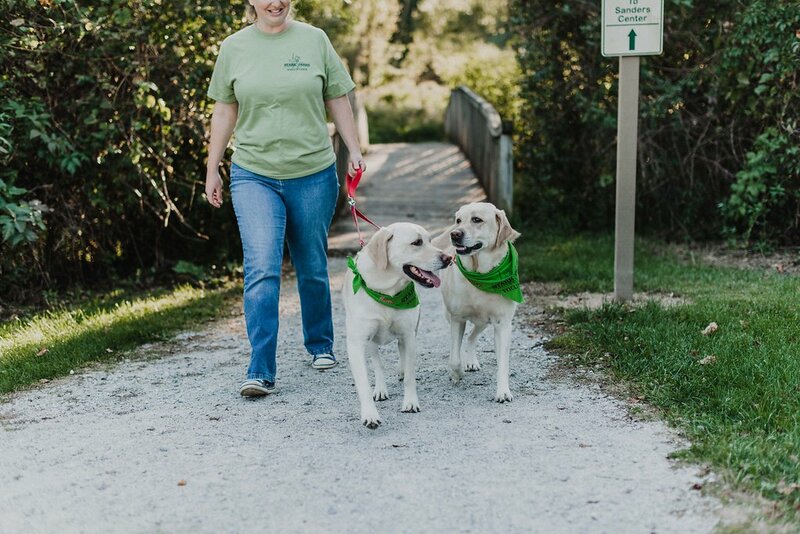 Under state and federal permits, with assistance from local veterinarians and volunteers, our staff have successfully maintained a release rate exceeding the national average. The Center is open for wildlife rehabilitation services only. To learn how you can support this cause and what to do if you find a sick or injured wild animal, visit the Wildlife Conservation Center’s page . 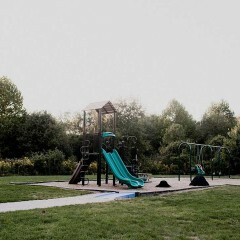 Park at the Genoa Ave. entrance and head east to find the trailhead. 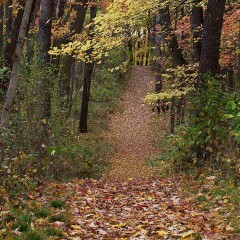 This natural surface trail takes you through a progression of blackberry thickets with gray dogwoods and cottonwood saplings, through an open field, then uphill for a slight climb into a forest with cherry, maple, oak, and pine trees that provide homes for a variety of birds and wildlife. 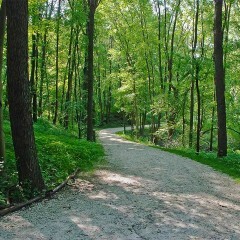 Park at the Genoa Ave. entrance, then cross the driveway to find the trailhead. 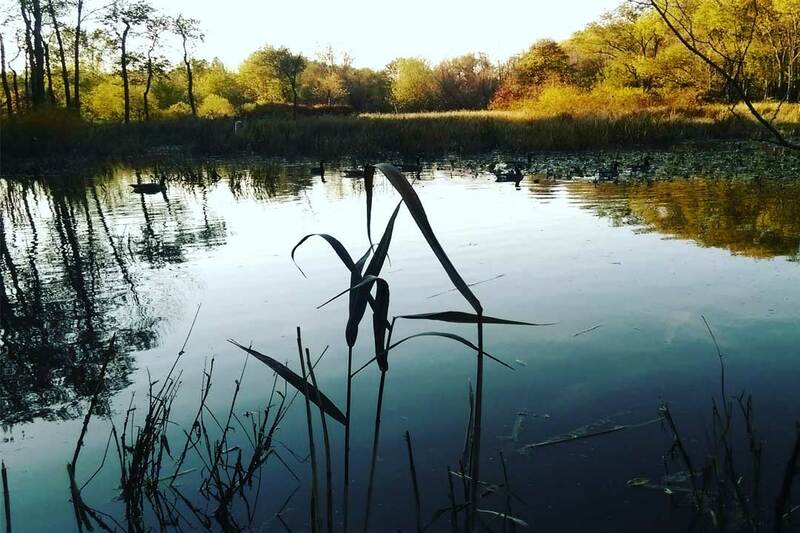 Perfect for hikers and bird watchers alike, this natural surface trail follows the edge of the restored Cottonwood wetland. 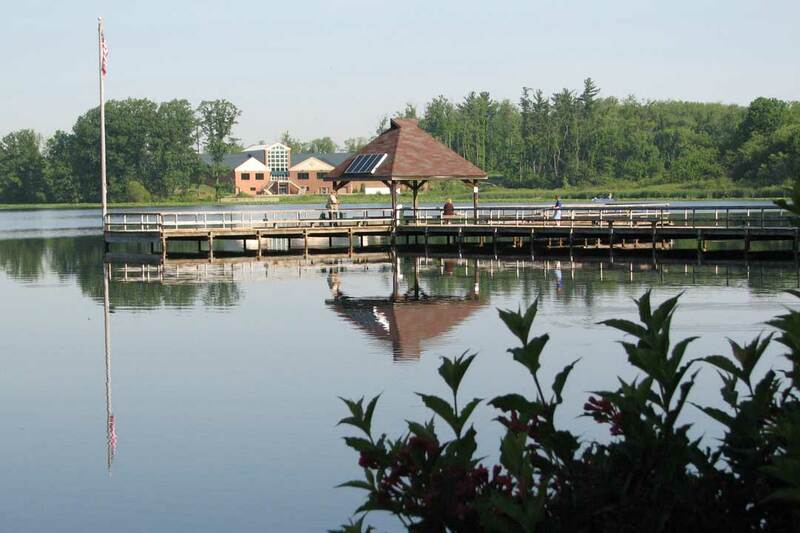 It offers a wildlife-viewing house where wood ducks, mallards, and green heron can be seen. Pockets of spring wildflowers along the trail include spring beauty, trout lily, mayapple, and trillium. 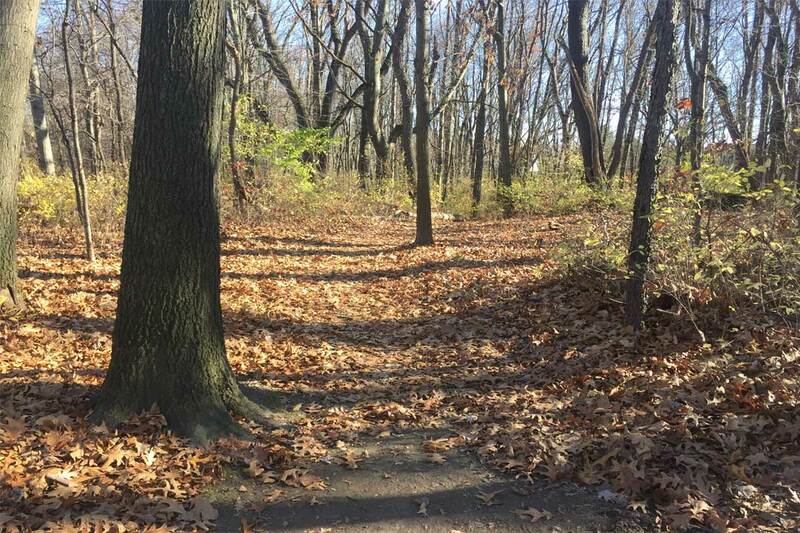 The Cottonwood Trail and Wetland has been adopted by Boy Scout Troop #939, the group holds cleanup projects along the trail throughout the year. 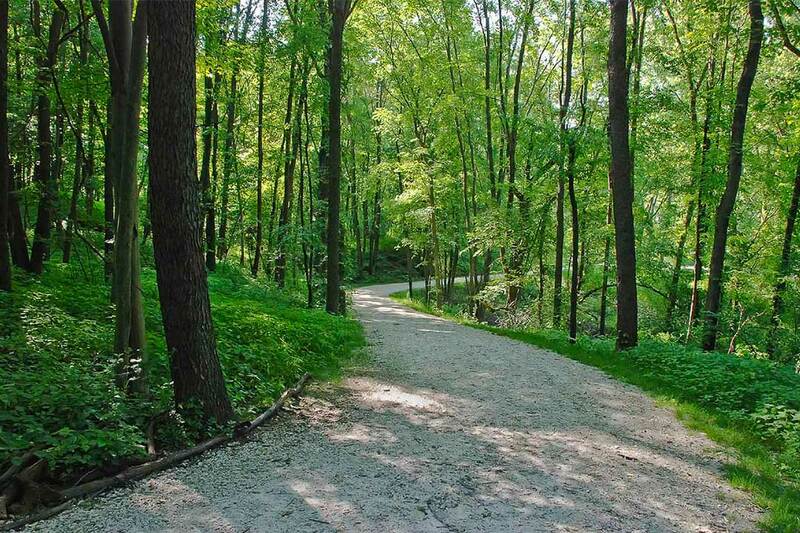 Park at either the 12th St. or Perry Dr. park entrances, then walk or bike this limestone trail between the Exploration Gateway and the Sippo Lake Marina. 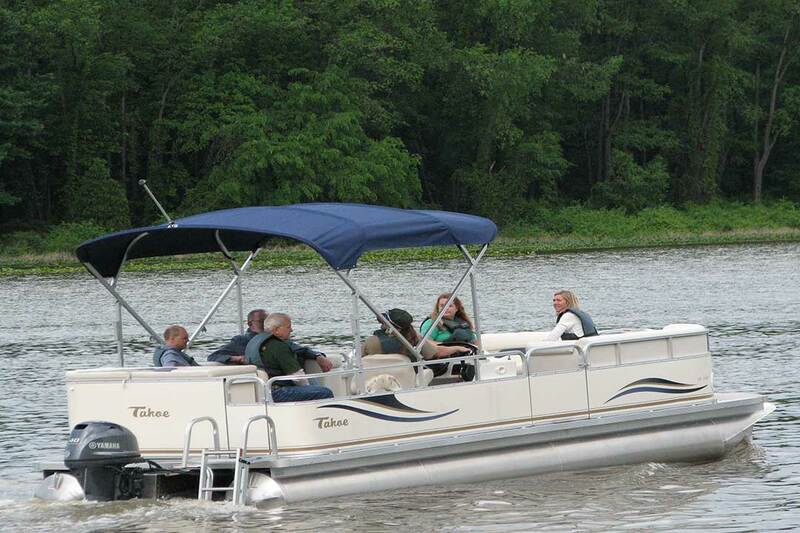 You'll follow the contours of the land with views of the 100 acre Sippo Lake. 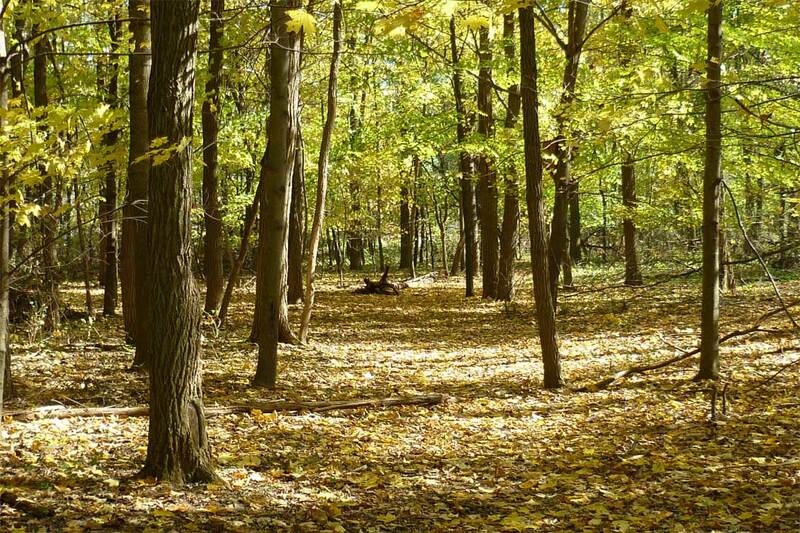 Several different habitats offer perfect viewing spots for yellow warblers, green herons, and butterflies. 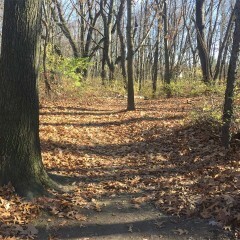 Numerous species of trees such as white oak, wild black cherry, and wetland dogwoods border the trail. 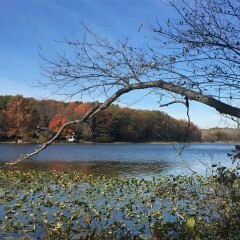 Park at the Sippo Lake Marina off Perry Dr. You'll hike up a hill through a deciduous forest and back down along the shoreline of Sippo Lake on this natural surface trail. In the spring, enjoy flowering dogwood trees and wildflowers such as mayapple, spring beauties, and jewelweed. 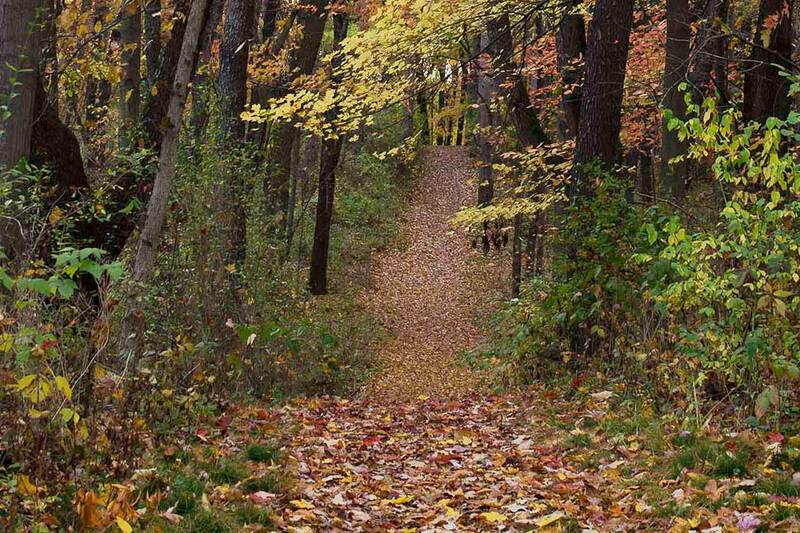 Marvel at the beautiful colors of the red oaks and maples in the fall. Park at either the Genoa Ave. or 12th St. park entrances. 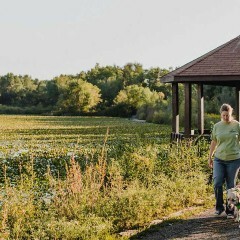 This network of trails travel through wetlands and young woodlands between the Exploration Gateway and the Wildlife Conservation Center. 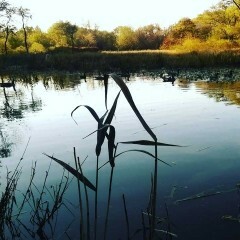 Waterfowl, muskrats, and several types of frogs (green, wood, and spring peepers) make their homes in the wetlands. 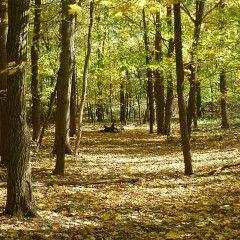 Maturing cottonwood trees create a canopy as they border the trail in several places. 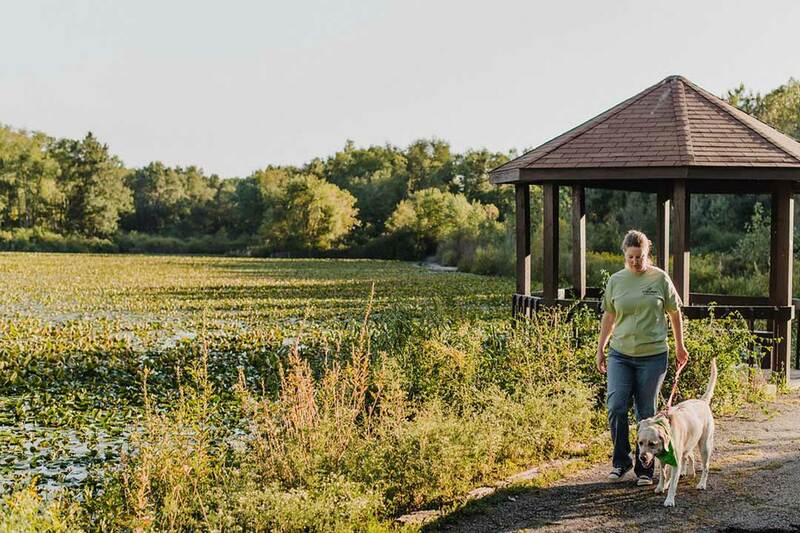 The trails of Sippo Lake Park offer the perfect terrain for hikers, bikers, runners, and dog walkers!